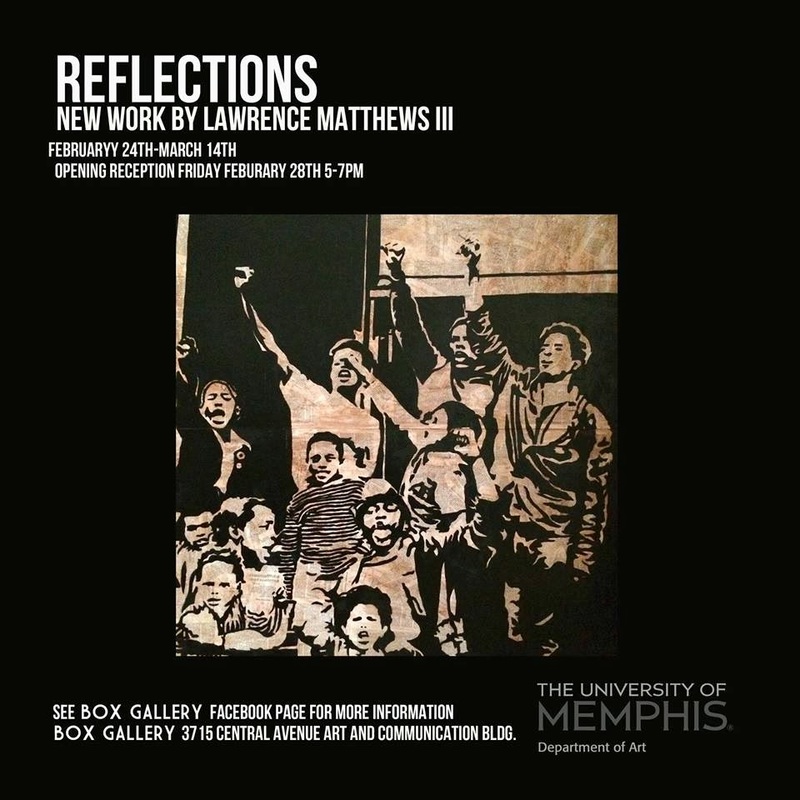 Box Gallery presents “Reflections” by artist Lawrence Matthews. “Reflections” is a collection of moments and memories from the history of the African American struggle in America. The work serves as snapshots into the pain, suffering, discrimination, and ultimately, the strength of African American people. By using imagery that spans from slavery until now, Matthews allows the viewer to reflect on his or her own judgments and placement in history.